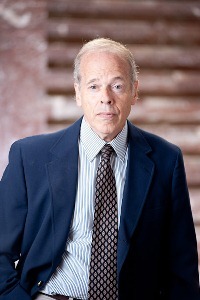 James P. Witt Attorney - James P. Witt Biography | National Legal Research Group, Inc. B.A., Hamilton College, 1964. J.D., University of Connecticut Law School, 1968. L.L.M., Tax, George Washington University, 1971. Member, D.C. Bar. Prior to joining NLRG in 1974, Jim was in private practice in the District of Columbia. He specializes in Tax Law and Estates, Trusts, and Wills. He has worked on numerous cases involving federal estate tax includability issues, contracts to make wills, resulting and constructive trusts, and the cy pres doctrine. Jim has contributed articles on federal taxation to NLRG's client newsletter, Report From Counsel, and authored an article for the official publication of the Virginia State Bar, Spendthrift Trusts in Virginia—The "Support and Maintenance" Requirement, 42 Va. Law. No. 7 (Jan. 1994). Jim participated in civic actions programs during his U.S. Army service, including instruction in English for the Vietnamese National Police. He is an addicted moviegoer and a faithful, although short-distance, runner. See a sample of Jim's work.